Preheat oven to 450°F. Place crust on ungreased baking sheet. Sprinkle with mozzarella cheese. 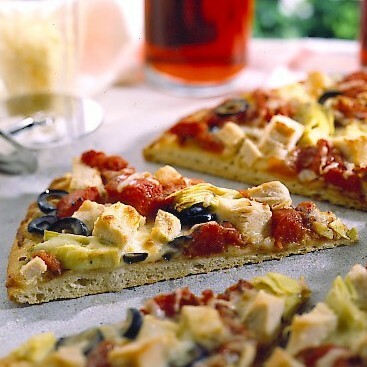 Top with drained tomatoes, turkey, artichokes, olives and Parmesan cheese. Bake 10 minutes or until cheese melts. Cut into 6 slices.